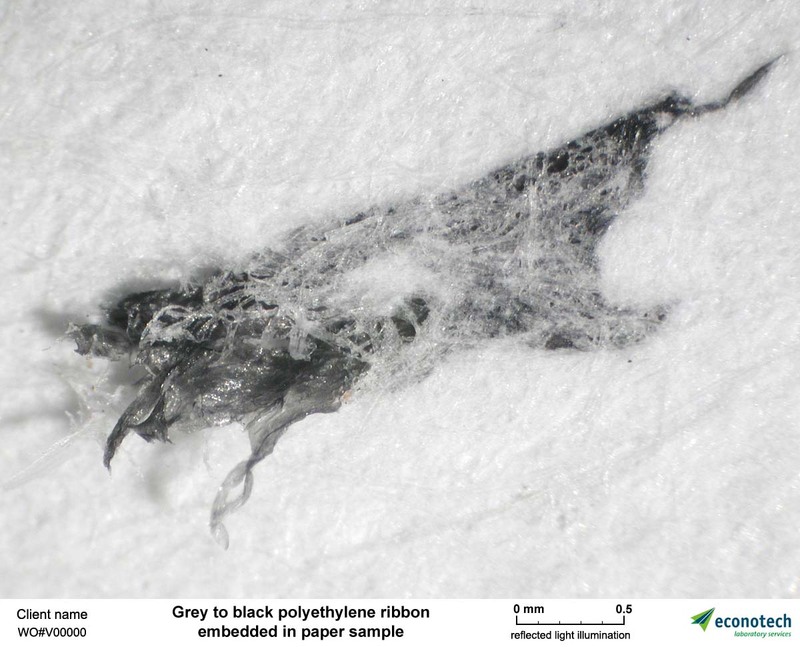 Many properties of pulp or paper can be associated with the properties of the species/genus of the fibers that comprise it. If your product isn't performing the way you expect, you might not have the blend of fiber types or species that you intended. 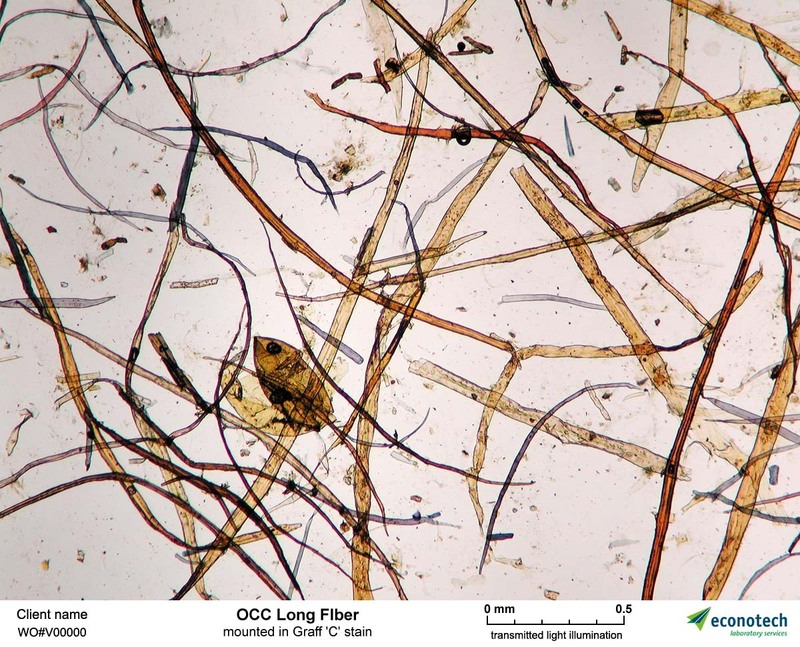 Identifying the species (genus) of fibers in a pulp or paper product is a specialized skill acquired through years of practice and experience at the microscope. At low magnifications, stereoscopes allow us to examine, isolate and identify contaminants, like shives or ash or other particles, that are embedded in a sheet of pulp or paper. 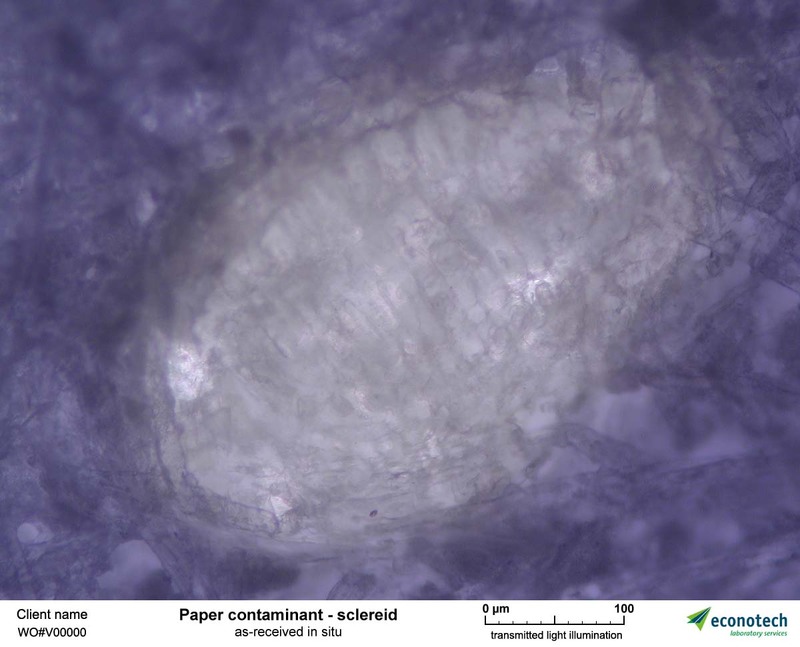 Usine higher magnifications with our compound microscopes we can examine the amount of damage to fibers or hardwood vessels at various stages of pulp treatment. Photomicrographic images of product surfaces and edges can effectively communicate what is happening at the fiber level. 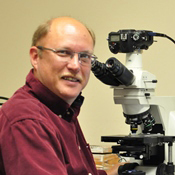 Graham has gained expertise from over 30 years of experience with optical microscopy techniques; specializing in species ID, fiber analysis and contaminant investigations. 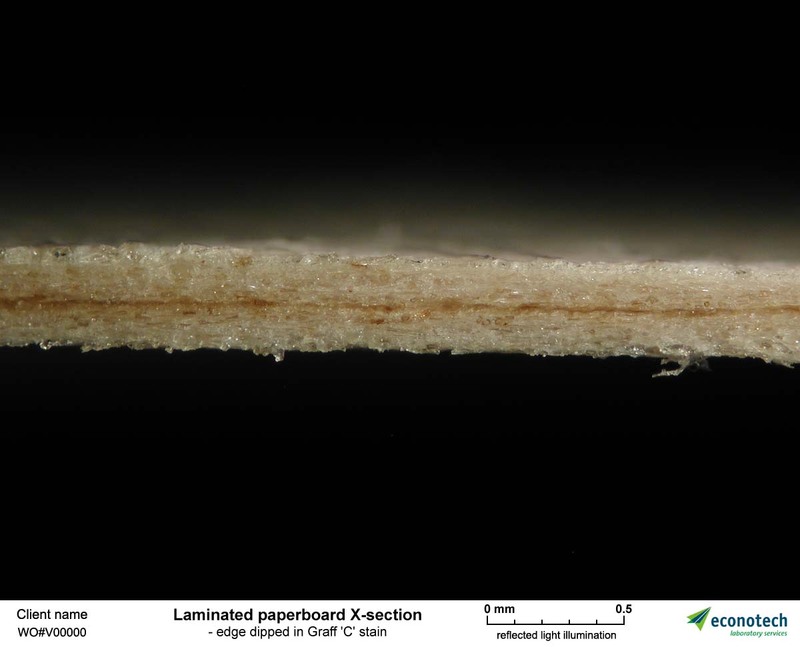 Identify wood and/or non-wood species in wood chip, pulp and paper samples. Analyze papers for chemical/mechanical pulp ratio. 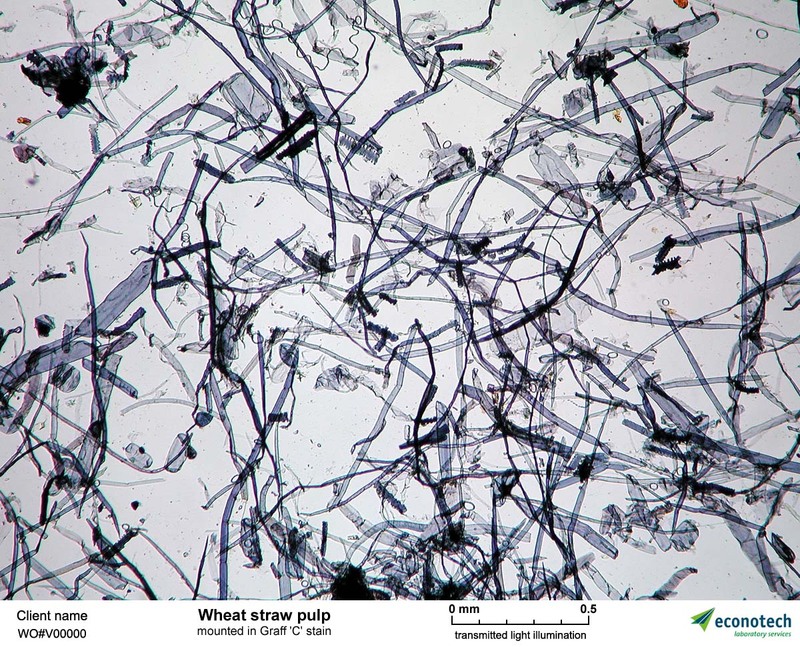 Identify pulp and paper contaminants like shives, plastics, and particulates. Measure average cell wall thickness and fiber diameters in pulps. Determine hardwood vessel-to-fiber ratios and analyze vessel size and damage. Identify and count: sclereids, stickies and ink particles. Special Projects: Develop and perform custom microscopical analyses for unique perspectives on products. 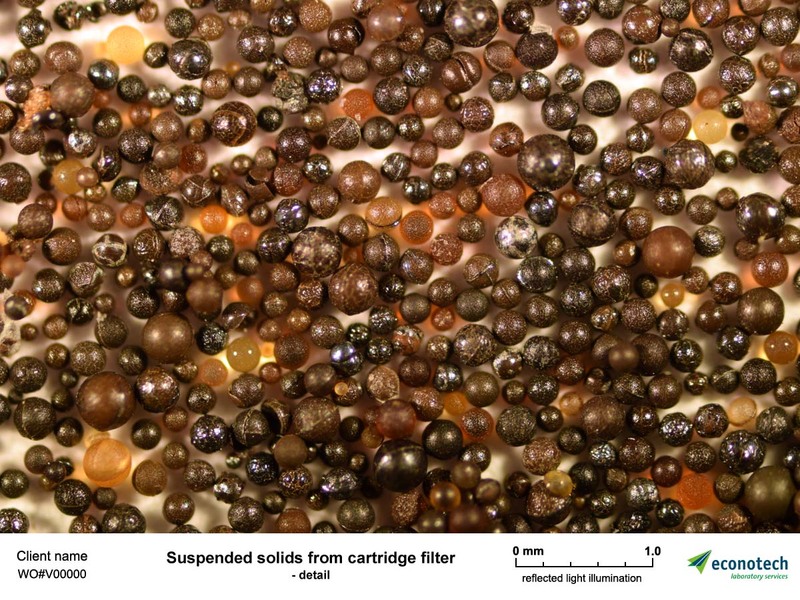 Photomicrography: Capture high-resolution photomicrographs to show fiber characteristics, document product condition or defects, show printability problems, use images for marketing purposes, amongst many other applications. Asbestos testing is becoming increasingly mandated by WorkSafeBC prior to any renovations, demolitions or disposal projects of bulk residential and commercial construction materials including but not limited to drywall boards, flooring, insulation, wiring, and roofing samples. This is to ensure the safety of all homeowners and contract employees while dealing with this high profile hazardous material that is a well-known carcinogen causing Mesothelioma. 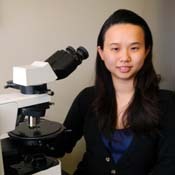 All our team members have received comprehensive asbestos analysis training from renowned and established institutes such as McCrone Research Institute and/or Microscopy Instruction, Consultation and Analysis (MICA) in addition to extensive in house training including participation in quarterly proficiency testing by the American Industrial Hygiene Association (AIHA) in both bulk and air categories respectively. † - Analyses carried out by a trusted sublet lab. We offer "Positive Stop" analyses. This gives permission to the analyst to halt the analysis of any remaining unanalyzed homogenous samples from the same area if one of the samples in the group is found to be asbestos containing. It gives clients the option to fulfill the sample collection requirements set out by WorkSafeBC, as seen in the table below, but at the same time minimising cost of analysis as clients would only be charged based on the number of samples analyzed - not necessarily the total submitted. Please do not hesitate to contact us for more details. WorkSafeBC has inspected our lab to ensure that our asbestos handling and testing procedures meet provincial regulations. Kimberly joined Econotech in 2015 with extensive asbestos testing experience. Click here for our asbestos Chain of Custody PDF doc. It's downloadable, fillable, printable and savable! * Homogeneous material is considered uniform in texture and appearance, was installed at one time, and is likely to be of only one type of material or formulation. ** If the material is assumed to be asbestos, samples do not have to be collected. The professional judgement of a qualified person can be used to reduce the number of bulk samples of homogeneous materials. If fewer samples than minimum recommended number are collected, surveyors should document the rationale for their position in the survey report.